Renewed interest in past producers is fueling a mining resurgence along the Cadillac gold trend in the heart of the Abitibi greenstone belt — home to some of Canada’s largest gold producers. What’s old is new again in Canada’s francophone province. Located in the heart of the Abitibi greenstone belt, Quebec’s Cadillac gold trend has a storied history as a prolific mining hub for the past century, producing more than 50 million ounces of gold to date. Despite the long history of extraction, the area is far from tapped out as deposits are still being found and developed. Recently, the historic area has seen something of a renaissance as resource companies are looking to redevelop past-producing mines with massive potential upside. Spanning the border between Quebec and Ontario, the Abitibi is one of the most prolific base metals– and gold-producing areas in the world, as well as one of the largest Archean greenstone belts on Earth. The belt spans 650 kilometers with a width of 150 kilometers. Some of the largest base metals and gold deposits on Earth can be found within the Abitibi. Rich in gold, nickel, copper, zinc and diamonds, the belt has been mined for the past hundred years, hosting over 100 mines and producing more than 180 million ounces of gold. The Abitibi belt is home to some of Canada’s largest producers, both past and present. Among these is the largest producing gold mine in Canada, Canadian Malartic, which produced 164,194 ounces of gold in the third quarter of 2017. One of the earliest mines in the region, the Hollinger mine, produced 9.3 million ounces of gold between 1910 and the mine’s closure in 1968, and has since been reopened as an open-pit mine by Goldcorp (TSX:G,NYSE:GG) in 2016. The Abitibi’s Dome mine operated for over 100 years from 1909 to 2016 and produced 65 million ounces. The portion of the Abitibi that’s known as Quebec’s Cadillac gold trend runs from the city of Val-d’Or to about 25 kilometers west of Rouyn-Noranda. Prospecting in the area surrounding the Cadillac trend began as early as 1907, with the first gold discovered in 1917. The area has been continuously mined at varying levels throughout the 20th century. In the late 1990s, new mines were discovered along the belt, revitalizing interest in mining in the area. By the mid-2000s, mining companies were returning to old mines using modern methods, kicking off the resurgence that continues to this day and restoring the Cadillac’s status as a world-class mining site. There are many advantages to mining in Quebec’s Cadillac gold trend. Not least of which is the fact that a decades-long history of prospecting in the area, continuing to this day, means that the Cadillac trend has strong mining infrastructure readily available. One of the companies applying the strategy of finding new opportunity in the shadows of old mines is Granada Gold Mine (TSXV:GGM,OTC Pink:GBBFF,FWB:B6D). Granada acquired property in the Cadillac trend in 2006. Located just 7 kilometers south of Rouyn-Noranda, the property was first staked in 1922 and brought to production in 1930 before a fire destroyed the mine’s surface structures and forced its closure just five years later. In those few short years before its closure, the Granada mine produced over 51,476 ounces of gold from 181,744 tons. Granada completed a NI 43-101 compliant resource estimate in 2017, outlining 800,000 million ounces of gold measured and indicated in a constrained open pit and 1.5 million ounces inferred underground. This is part of a larger unconstrained estimate for the deposit consisting of 4.9 million ounces of gold in the ground. According to the company, only 20 percent of the property’s exploration zone has been surveyed — so like other areas along the belt, untapped potential remains. Granada will begin undertaking the mine’s revitalization effort in 2018. Granada is far from the only company looking to breathe new life into old mining sites along the Abitibi greenstone belt. Eldorado Gold (TSX:ELD,NYSE:EGO) acquired Integra Gold in May 2017 and along with it the Lamaque project located near Val-d’Or. The site has been mined four times over the past hundred years. The last mining operations on the Lamaque property took place in 2002, but Eldorado plans to commence commercial production in 2019. Similarly, Trelawney Mining was bought by IAMGOLD (TSX:IMG,NYSE:IAG) in 2012, and the company also acquired the Cote Lake deposit in the deal. The deposit has been the subject of activity by several companies since the early 1900s, with IAMGOLD being the latest to mine the site. 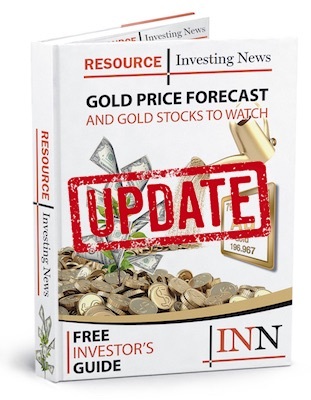 Chalice Gold Mines (TSX:CXN,ASX:CHN) is another company that has recently made moves to expand its presence along the Cadillac trend. In May 2018, the company secured from Renforth Resources (CSE:RFR) an 80-percent option on a prospective package of land located near Chalice’s East Cadillac gold project. Unlike some of the other properties under exploration and development in the area, this property has been left largely unexplored with very little drilling previously conducted on the site. The high number of exploration and development projects happening in the Cadillac trend and throughout Quebec is reflective of the province’s increasing leadership in the mining sector. According to the Fraser Institute’s annual rankings for 2017, Quebec has moved up from eighth to sixth place on the index of the best mining jurisdictions in terms of investment attractiveness. Among the Canadian provinces, only Saskatchewan tops Quebec in the rankings. The Fraser Institute’s data shows that Quebec is one of the top jurisdictions in the world for mining due to mining-friendly policies, low-cost utilities, ease of obtaining permits, high-quality infrastructure and, of course, high volumes of material to be extracted. Quebec’s Cadillac gold trend and indeed the entirety of the Abitibi greenstone belt is as alive as it has ever been in terms of mining activity. The province’s mining-friendly government and the Abitibi’s status as home to some of the world’s largest deposits have made the area one of the most important centers of mining activity on the planet. Despite its long history of production, the Cadillac region remains open to expansion with plenty of blue-sky potential for further discoveries. This article was originally published by Investing News Network in June 2018.